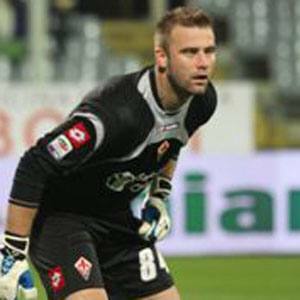 Goalkeeper who began his professional career with Pogon Siedlce in 1998 and made his national team debut in 2004. He played his youth soccer for Pogon Siedlce, in his hometown. He earned the nickname "The Holy Goalie" because of his common practice of blessing himself before each game. He raised children with both his first wife, Katarzyna Boruc, and his second wife, Sara Mannei. As a member of Poland's national team, he played alongside Jakub Blaszczykowski.